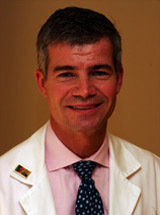 Dr. Schutta is employed by Penn Medicine. Dr. Schutta is involved in several research areas including the effects of bariatric surgery on diabetes remission and the association between coronary calcification and cardiovascular risk in type 2 diabetic patients. Martin SS., Qasim AN., Mehta NN., Wolfe M., Terembula K., Schwartz S., Iqbal N., Schutta M., Bagheri R., Reilly MP. : Apolipoprotein B but not LDL cholesterol is associated with coronary artery calcification in type 2 diabetic whites Diabetes 58 : 1887-1892,2009. Schutta MH. : Diabetes and Hypertension Journal of Cardiometabolic Syndrome : 124-130,2007. Rickels MR., Schutta MH., Mueller R., Kapoor S., Markmann JF., Naji A., Teff KL. : Glycemic Thresholds for Activation of Counterregulatory Hormone and Symptom Responses in Islet Transplant Recipients J Clin Endocrinol Metab 92 (3): 873-9,2007. Cardillo S., Schutta MH. 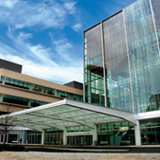 : Repaglinide Induced Hypoglycemia in a Patient with Cystic Fibrosis-Related Diabetes Mellitus Endo Trends 13 (4): 6-7,2006. Rickels MR., Schutta MH., Markmann JF., Barker CF., Naji A., Teff KL. : Beta-cell function following human islet transplantation for type 1 diabetes Diabetes 54 (1): 100-6,2005. Rickels MR., Schutta MH., Markmann JF., Barker CF., Naji A., Teff KL. : Beta-Cell Function Following Human Islet Transplantation for Type 1 Diabetes Mellitus: Preliminary Results Oral presentation at the American Diabetes Association Meeting : 2007. Reilly MP., Iqbal N., Schutta M., Wolfe ML., Scally M., Localio AR., Rader DJ., Kimmel SE. : Plasma leptin levels are associated with coronary atherosclerosis in type 2 diabetes J Clin Endocrinol Metab 89 (8): 3872-8,2004.